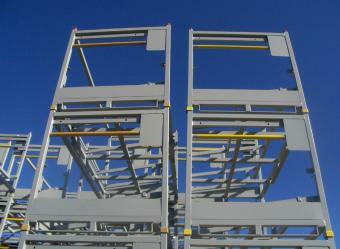 The Design & Production of Automotive Racking is the primary focus of Northridge Metal Fabricators. Our team is constantly searching for new methods and materials to provide our customers with the highest quality product at the lowest possible price. Our Design and Prototyping team has years of experience in Automotive packaging and are ideally suited to overcome the unique challenges associated with the storage and transportation of automotive components.